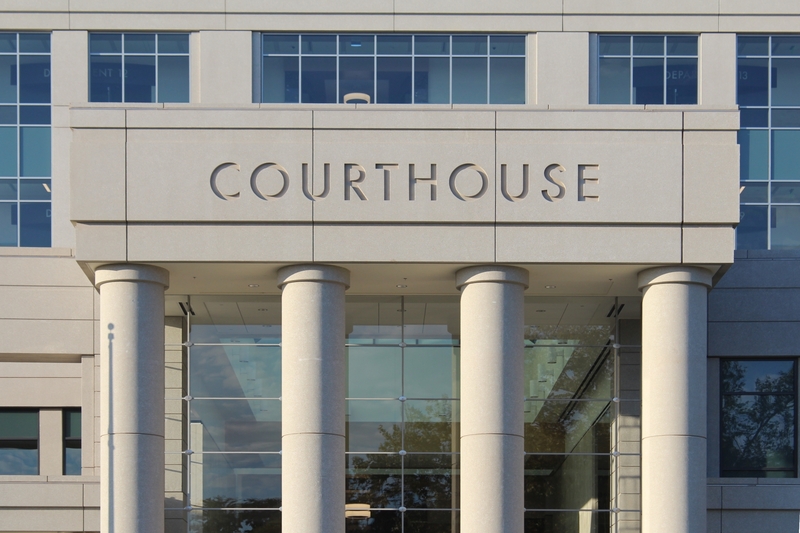 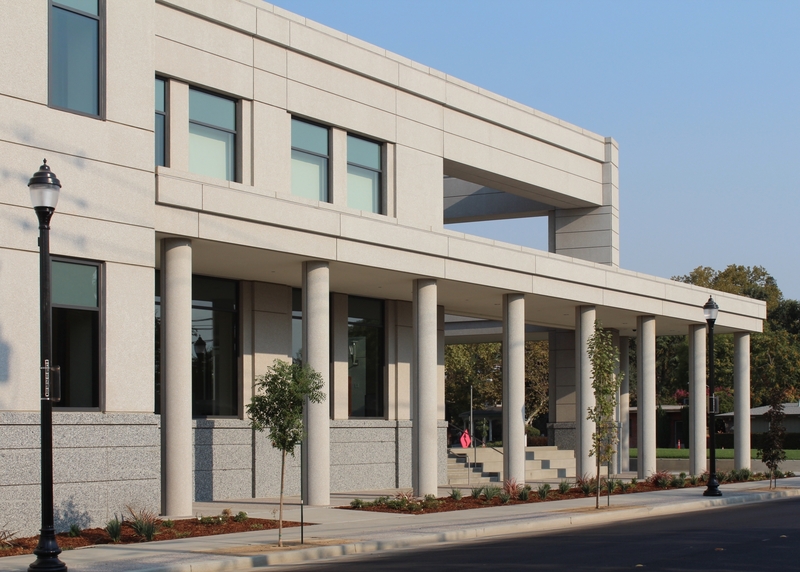 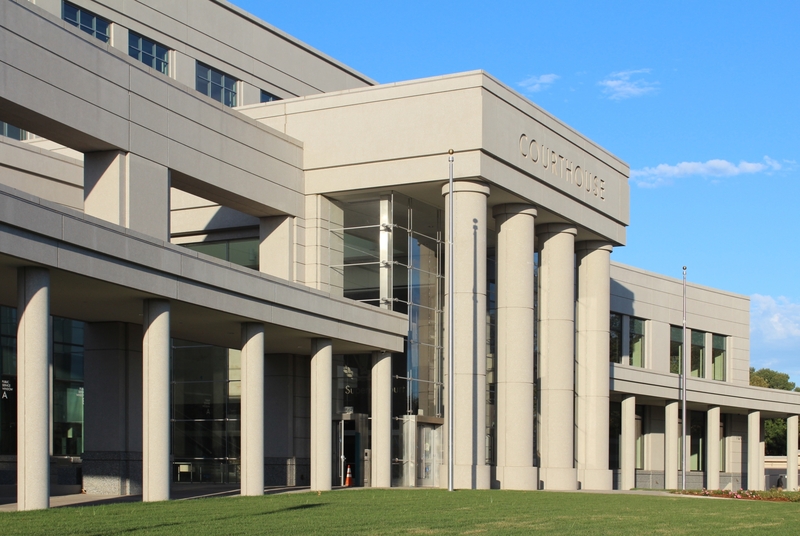 The Yolo County Superior Courthouse’s new home features significant improvements in security, safety, access, efficiency, and services for visitors and staff. 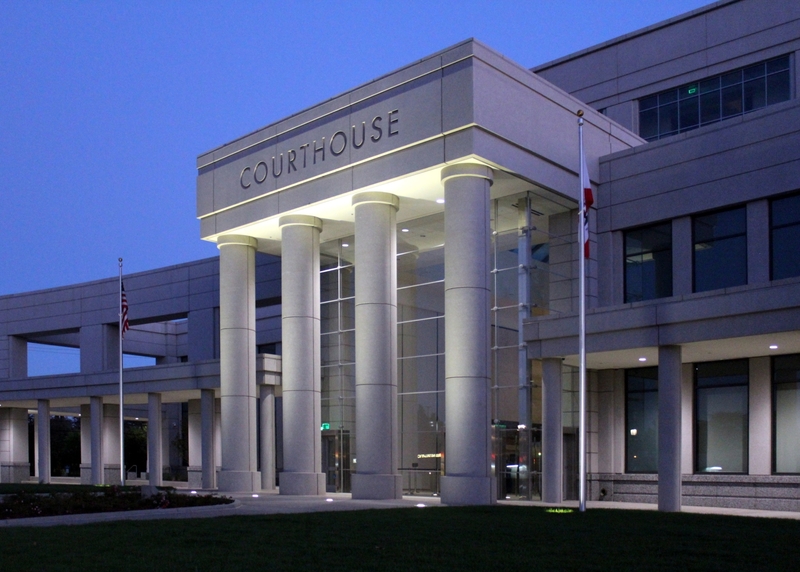 It consolidates operations from the historic courthouse, which will be used by the County, and five other obsolete buildings. 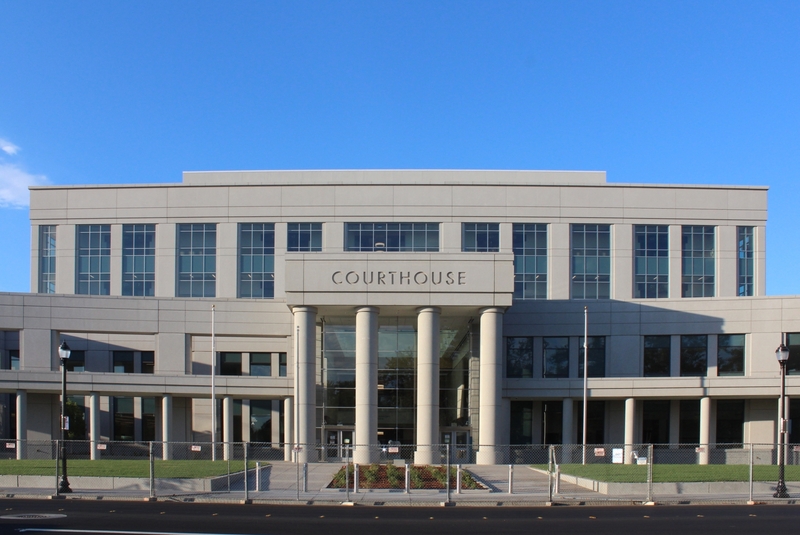 The new five-story, 14-courtroom building features a curved façade at ground level, with a four-column portico entrance reminiscent of the old historic courthouse. 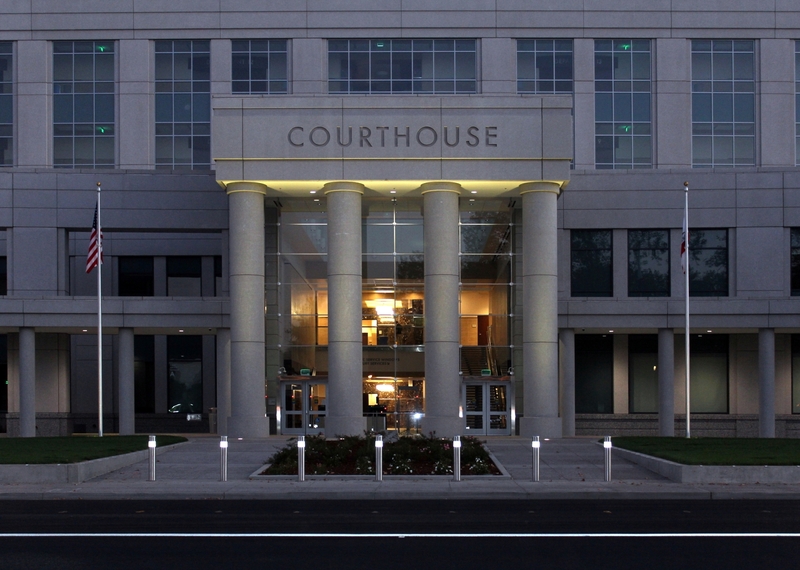 The Courthouse was designed in the tradition of most government buildings. 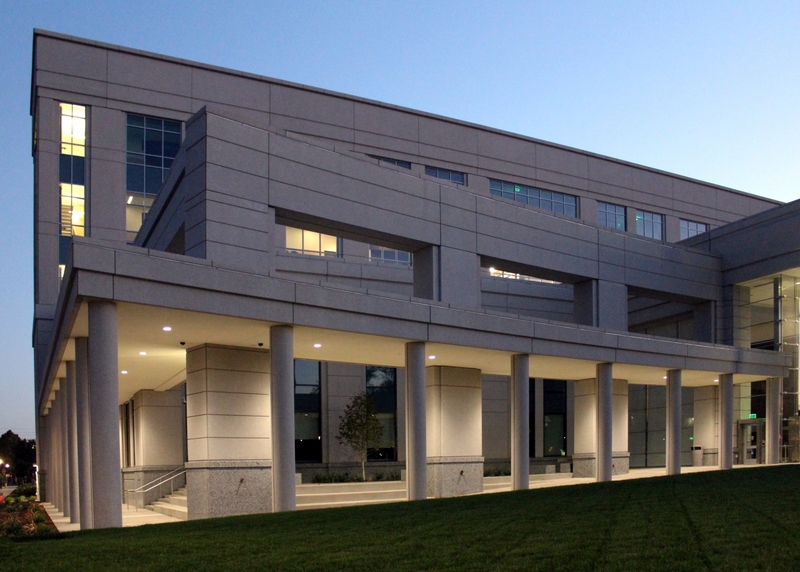 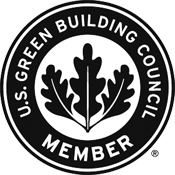 A design that includes a low maintenance and strong exterior Architectural Precast skin that will last for decades. 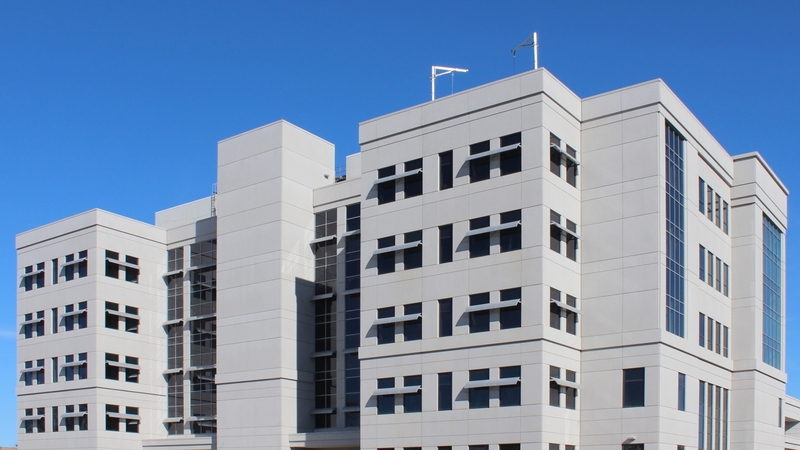 The design required blast resistant Architectural Precast. 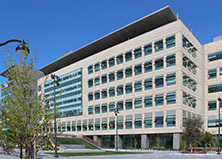 The lower 4’ of the building included the attachment of a polished granite veneer to the face of the panels. 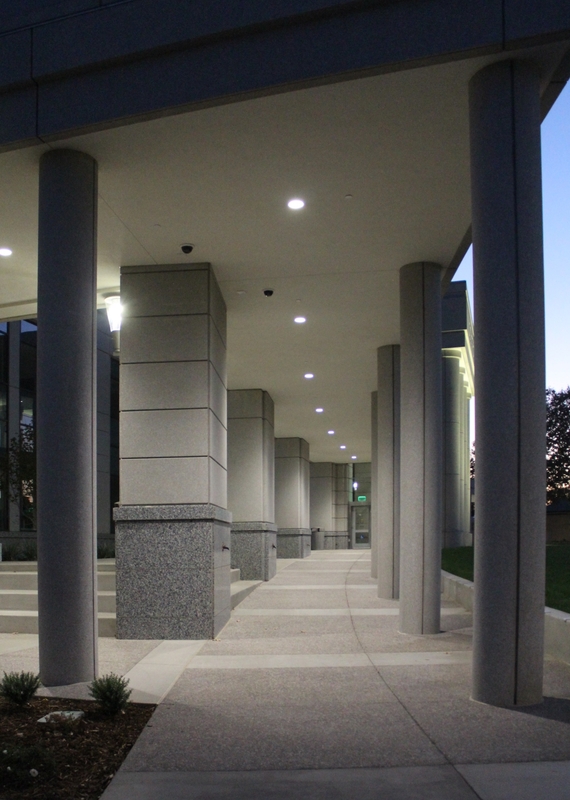 Two story 4’ diameter column covers guard the monumental entrance that supports a custom letter embedded spandrel.